Ever since we arrived in Bolivia, just over 8 months ago, we've been riding around in public transportation. 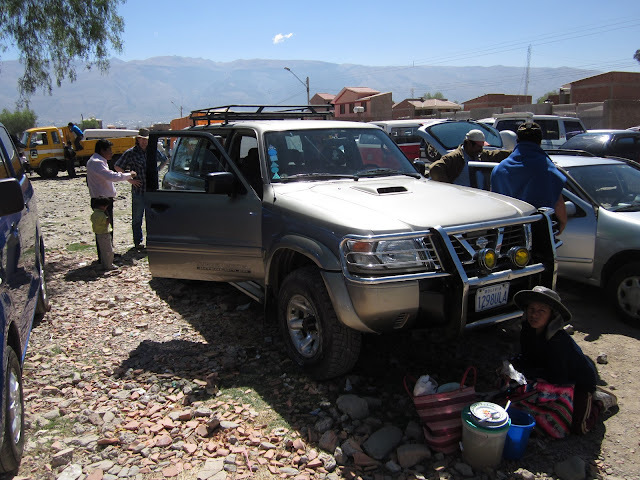 On one hand, it has been a blessing: we have been able to explore Cochabamba without worrying about knowing where everything is, going the wrong way down a one-way, or running out of gas. On the other hand, I really miss the joy of driving, we rarely go outside of our routine (much less, the city), and everything takes waaaaaay longer to get done. That, and we're planning to move to the jungle. . . I have been doing local research to add to what I've been slowly learning over the last couple years. Because we plan to spend most of our life here beyond the pavement and civilization-as-we-know-it, we need a vehicle that is tough, reliable, capable off-road, easy to maintain, and easy to fix. In a word: Toyota. 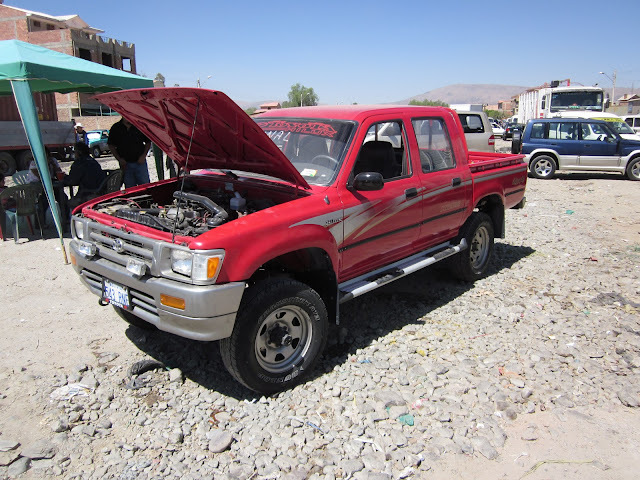 We are looking primarily for a Toyota Land Cruiser or Hilux, with the Nissan Patrol in the running as well. 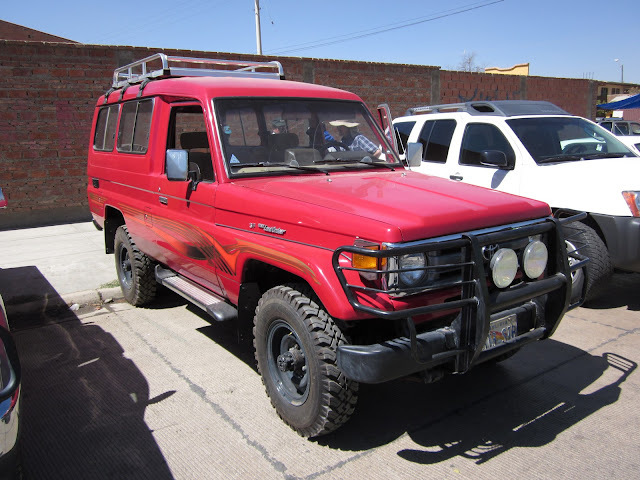 These vehicles are legendary worldwide for the characteristics mentioned above, are common here in Bolivia, and parts are readily available. We are looking mostly at models from the '90s, mostly due to price and availability. Basically, there's an awful lot of shiny vehicles selling for a lot more than we feel we should spend. Take this 1999 Nissan Patrol for example. It would be a fantastic vehicle in all respects, as far as I could tell, but at $24,000, it's beyond us. At $13,700, it was also the best deal. Of course the prices don't include winch, tires, or other equipment we'll have to purchase to make a vehicle jungle-ready. Please pray for wisdom as we continue to look at the options and for the finances we need to make a purchase. Car shopping is never easy, but you guys definitely have a few added twists. Will be praying for this need.